The other evening in yoga, a student spoke out loud in the middle, "I can't do that." Surprised, I offered her an alternative, "Can't do that either." I offered her another alternative, "Can't do that either." After informing me she had hurt her ribs, she decided "just to sit there" while the rest of us did the original thing she couldn't do. In yoga teacher training, one of the things we teach is classroom management. This particular time was borderline letting one student take up too much of the rest of the class's time. And it got me a little ruffled. For the next few minutes of class, even though I was teaching and the students were breathing, I was thinking to myself, "Why didn't she tell me she had hurt her ribs?" That's a pretty important one. And she had come to class early enough to mention it, and I had made eye contact with her and greeted her. She could have told me then. I was defending myself in my own mind, a sign that I had done something I wasn't crazy about. I didn't like how I wasn't able to go with the flow right there in the middle of teaching flow. Reflecting further I realized that it's summer and I've been working my fanny off. According to yoga's sister science, Ayurveda, we actually are supposed to have more fun in the summer. It's easy to over-heat systems of the body, even the brain; for these reasons, Ayurveda suggests keeping it simple. As I continue my regular work load and go for it with summer semester at grad school, I can remember to press play more often. Even if I don't have a whole day off to climb up to the top of Wheeler Peak, I can find moments of reprieve in the middle of my list. I can let my mind feel cooler and lighter and less wrapped around what needs to get done. Dog walks, cracking jokes, hanging out with my six year old friend Brayden and listening to my college buddy, comedy writer Steve Basilone's podcast, check. Yesterday, I finished writing my Power Point presentation for 7:30 class with enough time to watch the first half hour of Game 6 NBA Finals, go Warriors. Because I had class and didn't get to watch the rest of the game, when I woke up this morning I watched some highlights. Those guys are the best inspiration for staying in the flow with moves called "plays." At last I understand the Martin Buber quote, "Play is the exaltation of the possible." Thank you God for traveling and the perspective it provides. Usually, my travel mind is more open and less worrying. This last weekend, while I was in Seattle for a wedding, a few worries joined me. My favorite out-of-town clients texted and were in Taos for the weekend and wanted to do yoga with me, I had to turn them down. Bummer. Fairly soon though, I was able to Let Go and Let God. Then my cousin told us a story of a baby cow she had seen traveling in a cattle trailer. Its little foot slipped out and was almost dragging on the highway. She honked and honked and finally got the cattle trailer driver to stop, just as the baby cow's foot got back inside. When she explained to the driver what was happening and why she was honking for him to stop, he didn't fix the hole and treated the cows unkindly. 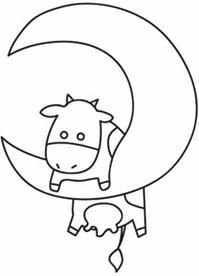 I woke up in the middle of the night thinking about the baby cow. While on the phone with Jen, she informed me that she still hadn't received a package that I had sent her but post office tracking said it had been delivered on May 20th. What the heck? My mind latched right onto this problem, ready for something new to worry about. Thank you God I was talking to Jen. I told her of all of these different scenarios my mind was holding onto; it seemed always ready for the next thing to worry about. "It's over-responsibility," she said. It's me not trusting God's divine order. If I'm going to trust God's will about anything, which I do about lots of things, it's time I started trusting God about everything.